When I first came to Rome almost 20 years ago, there were two venerable espresso bars in the centre that came to my attention: Tazza D’Oro, and, on the other side of the Pantheon, today’s Coffee Spot, Sant’ Eustachio Il Caffè. 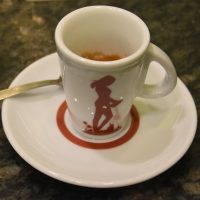 Located on the Piazza Di Sant’Eustachio, it actually predates Tazza D’Oro by six years, having first opened in 1938 and, like Tazza D’Oro, it’s a classic Italian espresso bar, although it also has outdoor seating. Unless you’re sitting outside (where you’ll pay an extra €2.50 for the privilege), you first need to queue up at the till, pay for your espresso, then take the receipt to the counter. This is where you’ll find the main difference, the espresso itself, which, by default is served infused with sugar and, I’ve been told, is Neapolitan style. It’s certainly very different from the other espressos I had during my time in Rome. I’m pretty good at picking hotels that are close to excellent coffee. On my recent trip to Montréal, my hotel was chosen for its proximity to Paquebot Mont-Royal, while my hotel in Tokyo was close to multiple great coffee shops, including Lattest and Stockholm Roast. However, when it came to Rome, the only criteria was how close it was the various historical sights. The fact that it was under 10 minutes from the best coffee in the city turned out to be entirely coincidental. Roscioli Caffè Pasticceria is part of a small group which includes a restaurant/deli, bakery, and this, a coffee shop and patisserie, which also serves breakfast, lunch and dinner, plus wine and cocktails, in a small room at the back. I suspect that for most, the sumptuous cakes, pastries and tarts are the main draw, but it also happens that the coffee, from Laboratorio Di Torrefazione Giamaica Caffè in Verona, is the best I’ve had on this trip. There are two blends and a single-origin on espresso, plus multiple single-origins on pour-over. If I was still doing the Coffee Spot’s Where It All Began Award, Tazza D’Oro would be top of the list. Rome was where I first developed my taste for espresso, almost 20 years ago, and Tazza D’Oro played a large part in that. However, it’s been a long time since I’ve been to Rome, almost nine years in fact, long before I started the Coffee Spot and my taste in coffee has evolved a lot since then. Tazza D’Oro, the self-styled Casa Del Caffè (House of Coffee), is near the Pantheon, right in the heart of Rome. It’s a traditional Italian espresso bar, right down to having a separate till at the door, where you order and pay for your coffee before taking the receipt to the counter, where one of the baristas will make your drink. If you’re going to do things in true Italian style, you’ll stand there and drink it. Back in the day, I adored Tazza D’Oro. The question is, what will I make of it after all these years? I’ll be honest: I came to Rome largely for the architecture and history, not for the speciality coffee. 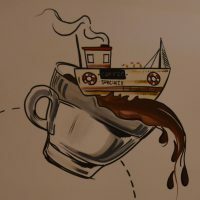 That said, I did have a small list, top of which was one of two places that people consistently mentioned to me: Faro, which styles itself as Rome’s first speciality coffee shop. 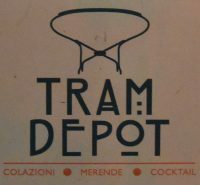 Located north of Rome’s Termini station, it’s a little off the beaten track (about a 30 minute walk east of the historic centre), but definitely worth the detour. Faro lives up to the billing, with a staggering 16 choices of coffee during my visit, all single-origins, two of which were espresso only, with the remaining 14 (which included one decaf) available as espresso or filter through either V60 or Aeropress. The beans, which came from seven different roasters across Italy, Germany and Denmark, are also available to buy in retail bags. In true Italian style, you can drink your coffee standing up at the counter, or you can take a seat and your coffee will be brought to you. If you’re hungry, Faro has a concise brunch menu which is served until 15:30 every day, backed up by some excellent pastries and cakes, prepared in a kitchen behind the counter.